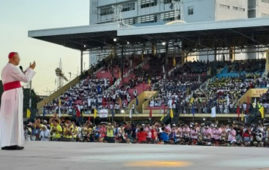 The City of Bacolod kicked off the celebration of the annual Bible Week on Monday, coinciding with the observance of the country’s first National Bible Day, a special working holiday. 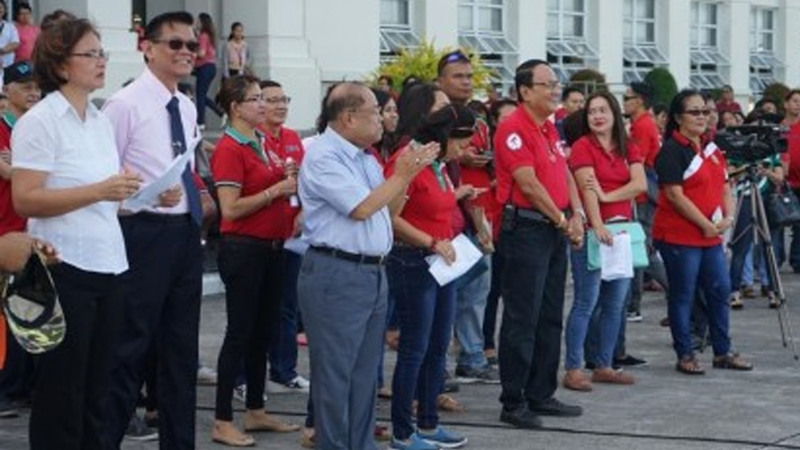 Vice Mayor El Cid Familiaran and Councilor Renecito Novero led the city government employees in the opening program of the 2019 Bible Week held at the Bacolod City Government Center grounds. “Our bodies need nourishment to live. The same with our spiritual lives,” the vice mayor said. 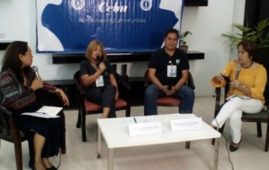 Novero authored City Ordinance No. 433 in 2007, institutionalizing the annual celebration of Bacolod City Bible Week every last week of January. Also on Monday, members of Gideons International in the Philippines- Bacolod distributed Bibles in all offices at the Government Center. 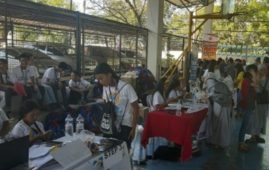 On Tuesday, the Bacolod City Public Library will host an on-the-spot poster-making contest for elementary and high school students whose artworks will be displayed at the second floor of the Government Center on January 31. A Bible Drill & Bible Quiz for high school students will be held at the MassKara Hall on Wednesday. On Friday, the celebration will end with a concert of the Pillars of Fire, and awarding ceremony for the winners of the said competitions at the Atrium of SM City Bacolod. Republic Act 11163, which President Rodrigo R. Duterte signed on Dec. 20, 2018, declared the last Monday of January every year as a special working holiday, in observance of the National Bible Day. In signing the law, the President recognized the value of the Holy Bible as the core of Christian faith, especially in a predominantly Christian nation. 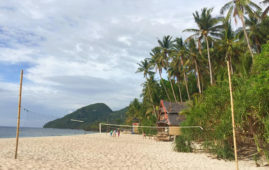 “As a predominantly Christian nation and the largest Christian nation in the Asia Pacific, this Act recognizes the value of the Holy Bible as the core of Christian faith,” the law read.